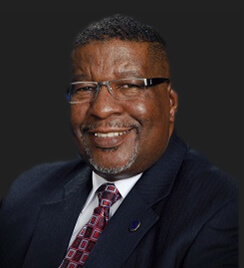 Mr. Allen, an Army veteran, is the chief executive officer for Training and Development Strategies, LLC, and an adjunct faculty member with the University of Phoenix, focusing on advanced career development and management. Mr. Allen has more than 28 years of leadership and training experience, and has held senior leadership positions in both the federal government and the military. Mr. Allen has been recognized for his expertise in equal employment opportunity program development, leadership, diversity, and human capital management. He has received numerous honors, including the Attorney General’s Award for Equal Employment Opportunity and the Justice Management Division’s Leadership Collaboration Award. Mr. Allen received his Bachelor of Science degree in Business Administration from Strayer College and a Master of Science in Administration in Human Resources from Central Michigan University. His certifications include Myers Briggs Type Indicator instructor, Strength Deployment Inventory facilitator, Facilitative Leadership Trainer, Federal Mediation, EEO Counseling and Prevention of Sexual Harassment. Mr. Allen teaches several programs for FELTG, including courses on EEO for supervisors, leadership, and diversity. Mr. Allen has taught during FELTG’s Managing Federal Employee Accountability program.